IN MY FAMILY, CRAZY DOESNT SKIP A GENERATION. - ProudMummy.com the Web's Community for Mums. 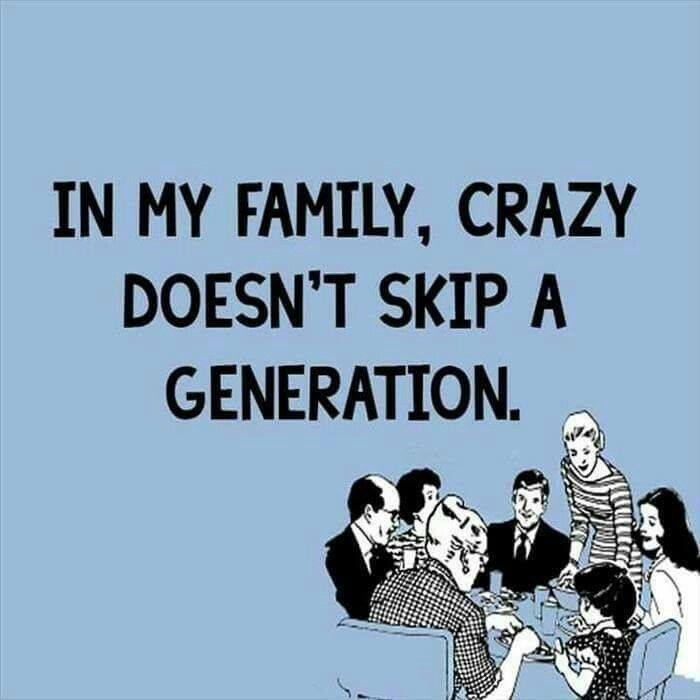 Home » Memes » OMG » IN MY FAMILY, CRAZY DOESNT SKIP A GENERATION. IN MY FAMILY, CRAZY DOESNT SKIP A GENERATION. IN MY FAMILY, CRAZY DOESN'T SKIP A GENERATION.